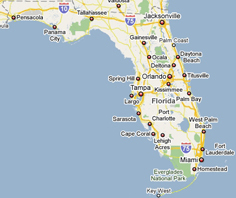 Use the search, map, or area links below (scroll down) to find help where you live in Florida. Although this area is temporarily without a member to assist you we can still help you with any concerns you may have. We can also put you in contact with various elder care services in Northwest Florida. Click here to Request Assistance from the Florida Care Planning Council. Although this area is temporarily without a member to assist you we can still help you with any concerns you may have. We can also put you in contact with various elder care services in North Florida. Click here to Request Assistance from the Florida Care Planning Council. Although this area is temporarily without a member to assist you we can still help you with any concerns you may have. We can also put you in contact with various elder care services in Mid Florida. Click here to Request Assistance from the Florida Care Planning Council. Although this area is temporarily without a member to assist you we can still help you with any concerns you may have. We can also put you in contact with various elder care services in Northeast Florida. Click here to Request Assistance from the Florida Care Planning Council. Although this area is temporarily without a member to assist you we can still help you with any concerns you may have. We can also put you in contact with various elder care services in West Central Florida. Click here to Request Assistance from the Florida Care Planning Council. Although this area is temporarily without a member to assist you we can still help you with any concerns you may have. We can also put you in contact with various elder care services in East Florida. Click here to Request Assistance from the Florida Care Planning Council. "Experience and Integrity…It Matters!" As homeowners, you may have heard of reverse mortgages from any number of sources. Reverse mortgage loans, including the government-insured version called Home Equity Conversion Mortgages (HECMs), are home loans that enable older homeowners to access a portion of their home equity without having to pay a monthly mortgage payment. A reverse mortgage can be a safe plan, giving older Americans greater financial security. Many use it to supplement fixed income, meet unexpected medical expenses, make home improvements, and more. However, the important question is, what are the features of this loan and are they right for you? I am here to help and to educate you on what to expect. I am very straight forward and I have your best interests at heart. Approved by the U.S. Department of Housing and Urban Development (HUD), DMCC counselors can provide you with valuable information, and the individual counseling and certificate required to obtain a HECM Reverse Mortgage from the FHA. DMCC counselors can provide you information on getting a reverse mortgage and answer all your reverse mortgage questions in a very friendly and informative manner. For many seniors in Florida the equity in their home is their largest single asset, yet it is unavailable to use unless they use a home-equity loan. But a conventional loan really doesn't free up the equity because the money has to be paid back with interest.